Our path to purchase has been completely transformed due to the increase of digital interaction. We know that customers expect a unified experience at every touch point. Communications that are generic coupled with inefficient services such as incorrect stock availability and inconsistent delivery are not what a customer wants to experience. However simple these issues appear to the customer we know that there is a lot of work that goes on behind the scenes to make customer experience as seamless as possible. From our work with a large number of global, luxury brands we fully understand the essential requirement for brands to join up the digital and physical dots and here are some thoughts around the importance of taking insight and actions from digital breadcrumbs. Why should we use digital interactions in a bricks-and-mortar store? We know that ‘nearly 80 percent of luxury sales today are “digitally influenced”, meaning that, in their luxury shopping journeys, consumers hit one or more digital touch points.’ These influential factors can include online browsing, adding products to a wish list, seeking advice from a personal stylist via WhatsApp or looking to social channels such as Instagram for inspiration. One way in which we can make the most of online digital interactions is to utilise them in the physical retail environment. With the visibility of these digital interactions, retailers can look at how important they are in the path to purchase. They also help us to build up a picture of how their customers interact with the brand and how engaged they are making it easier to remain relevant and personalise content, communications and products to suit the interests of the customer. While luxury e-commerce is growing fast, the portion of personal luxury goods purchases that happen online — now about 7 percent of total — is expected to plateau at about 20 percent by 2025. This means that, for the foreseeable future, the vast majority of sales will still take place in physical stores, which have yet to really benefit from the insights that can be gathered from digital data. What is reverse omnichannel and how can it help? We need to match the experience of online to that of the experience in-store, something that is often called reverse omnichannel. Previously we have used physical stores to inform online, now we are using online to inform store experience. We build up data of many digital interactions yet we are not so good at learning from these interactions and capitalising on them in-store. Creating a flow of information between digital and physical is certainly a challenge, particularly if you consider all the different platforms we need to have visibility of and integrate with. However, once we have the ability to make the most of data thanks to innovations, such as clienteling, we begin to support the customer in a way in which can exceed their expectations. What this means in practice is the need to equip in-store sales associates with information collected from online so they can then become part of the digital journey too. Clienteling utilises data from customer service management platforms, marketing platforms, online platforms and enables data to be visible where it is needed, in-store. If we consider the huge proportion of sales still taking place in physical stores we become acutely aware of how important the role of sales associate remains. In the past year there have been significantly reported benefits form working with influencers. According to The State of Influencer Marketing in Fashion, Luxury & Cosmetics, influencers create great results. If we put these figures into context with someone who is directly engaged face-to-face with a customer eg the sales associate becomes “the in-store influencer” then I’m sure the stats would be even higher. An intimate personal relationship can be an extremely powerful thing, especially if that relationship can be enhanced by online insights. Another interesting concept is that the customer through their tendency to share their interactions with the brand on social media become part of the influencer landscape. Like the digital word of mouth, it’s one of the best ways to create brand advocacy and business growth. So next time we think about digital influence we must also remember to support our in-store teams to be part of the digital journey too. We know it works for our customers so, make it work for you too! Why not download our case study with David Jones to find out how we help them to get closer to their customers. Unified basket with POS and pay in app with Apple Pay! 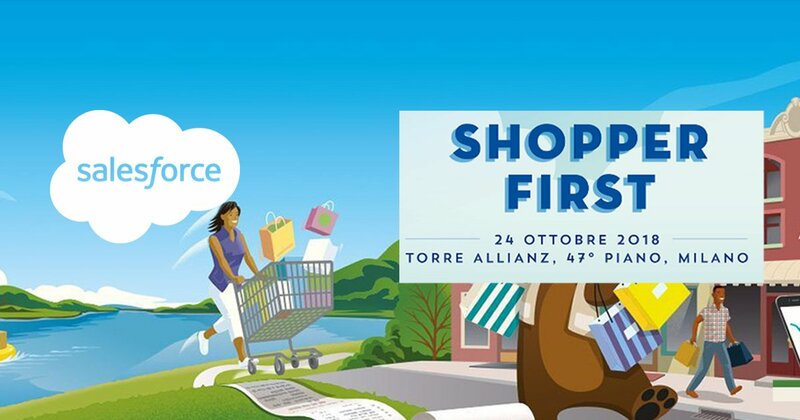 If you're a retailer looking to truly understand your customer and give them consistently exceptional experiences, we look forward to welcoming you to Salesforce Shopper First. To organise a personalised demo in Milan, please get in touch. If you're attending the Salesforce Shopper First event, why not fill out the form below to download a wonderful use case scenario of how we're working with MATCHESFASHION.COM to transform their physical retail experience. In the fashion industry we think a lot about the future. The future of fashion, the store of the future, what part will technology play in the future of customer experience, and so on. Running in parallel we are also looking to understand and define what is the meaning of real luxury. 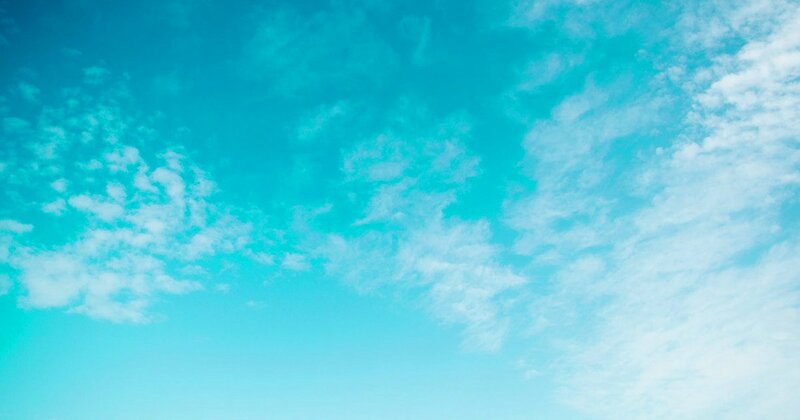 In order to answer these questions, we are continually seeking out new ways to be inspired, learn and grow. As entrepreneurs and leaders, we often look to the present to show us a way forward for the future. With busy schedules it can be hard to take time out for personal growth and professional development. We are often so focused on productivity, Return On Investment (ROI) and “business as usual” that we fail to quantify how important it is to take time to be inspired. Perhaps we need to focus less on ROI and think more about how important the role of inspiration is in relation to leadership. Awakening our consciousness and transcending the ordinary may seem like quite out there things to be doing in the name of leadership, but it really is all connected. Now more than ever we need to look at the whole picture and think holistically to cultivate future growth. As leaders we need to be inspired and also inspire others. We cannot afford to ignore how important our own personal and professional development is for our teams. The relationship between personal growth and corporate professional development (CPD) has increasingly blurred lines. Attending a group meditation session paid for by employer rather than employee may seem an abstract use of work time but incrementally it can make a huge difference. If we invest in ourselves we ultimately invest in our company. After all a company’s employees are what makes the company, and also makes the company attractive to work for. Cathy McCabe, Proximity Insight CEO - who was previously at Burberry - has experienced first-hand the benefits of a holistic approach to developing teams. Apart from attending yoga or meditation sessions on company time how can we find inspiration in a more formalised way? The answer is through well curated events such as Decoded Future that we recently attended in London, and FashionTech Berlin. Learning from other people’s stories we can take their experience as inspiration. Their journey can connect our own experiences and by making that connection we can work out how to solve problems we face. It also gives us comfort that we are not alone in trying to make sense of the future. Putting on, being a sponsor for, speaking at, or attending an event feels as if it’s had even more emphasis placed on it since the rise of digital communications and social media. Attending business events is not a new concept, but what has changed is that the audience is no longer contained within the room. Thanks to technology we are able to stream live and directly connect with people all over the world in real-time. The business opportunities that arise from being able to speak to a huge audience and potential customer base is extremely exciting, but what is also interesting is how much emphasis is being placed on being seen to be someone who is knowledgeable or a visionary. Education and gaining knowledge is - and always has been - a sign of wealth. We don’t always seek to just have wealth in a monetary sense but also have mental wealth. As we increase our knowledge and elevate ourselves, we operate higher up Maslow's Hierarchy of needs. At this point we also question what is important to us, and we begin to question what is our definition of luxury. If we consider knowledge and having the time to pursue knowledge is a luxury, we can use this idea to form the basis of an approach to customer experience for example. We can also use it to convey a story about a product. Having the knowledge to make a beautiful handbag and honouring the time it has taken to learn a craft is real luxury. The craftsman is the true definition of luxury. As a consumer understanding and appreciating craftsmanship is luxury. Elevated by craftsmanship a product is able in a physical way to embody knowledge and time, and consequently luxury. Buying an expensive handbag has always been a status symbol, but now it’s not about how much it cost, it’s about knowing everything about it that gives the owner status. Arguably those seeking elevated ideals of luxury might not buy an expensive handbag from a traditional brand. They might prefer to seek out companies who are producing small scale with transparency whilst supporting craftsmen. Furthermore they may also look to companies who are sharing profits equally amongst all employees, companies who are essentially operating with the same ideals as the consumer. Company and consumer objectives then become one. We buy more than just a product, we form a shared experience over time. Brands are increasingly driven to produce more content and can look to knowledge sharing as a key part of a marketing strategy. We live in an era where Content is King and knowledge is wealth. By connecting with our audience, consumer and employees on a deep level we create long lasting bonds. To do this we may just need to take a step back and look at what we value. With London Tech Week starting today we ask, what does it take to be a leading technology company? Being at the forefront of innovation requires a company to respect, embrace and develop all elements of their business. From company strategy to product development and investment in talent and people. Companies like Proximity Insight typically start organically by identifying a problem that needs to be solved and a gap in the market. A team develops from friendship and core competencies. What we don’t often discuss is our experience, on a human level. Product is shaped by experience. The experiences of retailers, customers and teams leading the development. We are all shaped by our experiences and ultimately that translates into business strategy, mission and core values, marketing aims and requirements for product development. Working closely with partners gives insights to their pain points and their desire to find a way to provide their customers with the best shopping experience possible. Creating a product centred around multiple genuine experiences enables all use cases to be considered and also supports buy-in from all stakeholders. There is a real need for all levels and areas of the business to be included from the beginning of implementing a new technology system. The CIO and sales associates have common goals, they want the best technology product available to be responsive and secure. Building on an established platform has huge benefits. Using creative talents to innovate and build upon a trusted platform such at Salesforce has enabled Proximity Insight to offer the best solution to their clients. Benefiting from the scale of an established company and the agility and creativity of a start-up they have produced a leading clienteling application. Technology has the ability to support both personal and company growth. When we are empowered to use our experiences and talents we can change our own destiny and that of the company we work for. Proximity Insight is one of the few London based technology companies to have a female CEO, Cathy McCabe, who has unrivalled experience of leading tech-enabled change for fashion retailers, including digital pioneers Burberry. Tech London Advocates, Women In Tech state a 34% higher ROI for women-led tech companies. These are the kind of results that Proximity Insight has started to see for themselves. Having a female CEO of a tech firm is fantastic for the business and for a true understanding of the environment in which platforms are embedded into. Cathy McCabe has worked hard to be a leader in retail and tech, and it’s this that makes her a driving force not only for Proximity Insight but for the the technology industry in London and beyond. 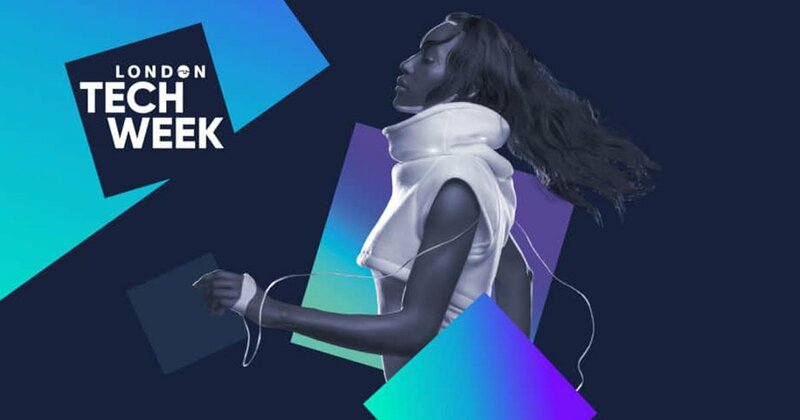 London Tech Week promotes creativity, talent and innovation coming together, and this is exactly what creates the foundations for a successful business. Our experiences create a robust solution and understanding of each other. At the end of the day a partnership and success is about the people, not just the tech. Is there a role for tradition in the store of the future? The traditional fashion business model has seen fundamental changes over the past decade, because of the digital revolution. It is now, more than ever before, convenient and easier to shop anytime, anyplace and the choice of products and services continues to grow. Brands now have greater and quicker exposure to markets that previously would have taken years to enter which makes the market even more competitive. Furthermore, the UK high street continues to see unprecedented levels of closures. Marks & Spencer recently revealed plans to close a total of 100 shops by 2022. Other UK high street retailers have planned closures: Mothercare 50 stores, New Look 60, and House of Fraser 31 stores. It is no wonder that retailers are looking at new ways to make their stores relevant to customers. The in-store experience is of great importance and tradition plays a key role, particularly getting back to the basics for exceptional service. 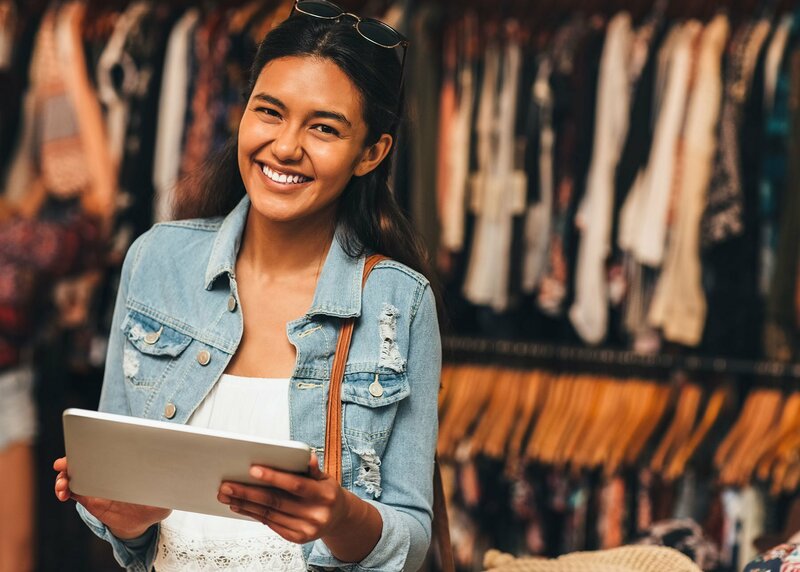 A traditional retail experience relies on a direct, face-to-face connection with the customer, who are 60% more likely to return to the same store because they value that connection with the retailer and importantly the sales associate. Unfortunately, those brands that have been slow to change their in-store experience are typically the brands that we now see closing stores. A retail transformation is being seen across the whole fashion industry, at luxury and high street level. Brands are looking to connect with old and new customers in a more relevant, meaningful way. Gucci chief executive Marco Bizzarri said shoppers are equally bored by traditional stores and bland websites. “The younger generation isn't interested in the retail experience because the retail experience is not interesting." In Gucci’s new SoHo, New York store, “connectors” (store associates) are hired for their ability to tell Gucci’s story. The brand story and how it is told, and by whom is becoming increasingly important. Focusing on ease of transaction Zara integrate physical stores and online through automated order collection points (serviced by a concealed area able to handle 2,400 orders simultaneously), self-checkout and mobile payment systems support by staff with iPads. In addition the customer experience is enhanced by interactive mirrors equipped with RFID which can detect the garment a customer is holding, enabling customers to see what a complete outfit will look like in the mirror. Having used the self checkout at Westfield London and being asked by security to return to a till point after the security alarm went off due to the tags on accessories (which you can’t see or take off), I’m yet to be convinced by the efficiency for all transactions. However one thing that is clear is that it’s a step in the right direction, giving the customer the option of the type of experience they want. Implementing technology in the right way as we know is not as easy as pressing a button, and everyone needs to be on board with the change. Connecting with store associates through human emotion, shared experiences and passion for a brand and it’s product must be supported by head office. Companies who are looking to remain relevant need to invest in their teams and the tools that the teams use to offer the best in-store experience possible. I recently attended a FashMash Event where Farfetch MD of Store of the Future, Sandrine Deveaux, discussed her team’s approach to keeping retail exciting. A big part of it for Farfetch is empowering their ‘Instore Influencers’ (store associates) with knowledge. They view the role of the Instore Influencer as a totally new profession. A profession that needs to be nurtured, invested in and supported. The store associate has the ability to not only connect with the customer but influence the sale. If they have the right information about the product, the knowledge of how the garment was made, the story of the collection, how the designer translated their experiences and research into the collection, that might just make the difference between making a sale or not. Valuing store associates is not a new concept. Traditional retailers know their customers intimately. Store associates often have a black book with preferences, phone numbers and past purchase history all noted. They genuinely care about their customer, and are often rewarded through sales commission. However, what is new, is the scale of new retail. Retailers and brands have easier access to increased global reach because of the digital revolution. Which means to serve a customer, who may live in many countries, buying online and in physical stores, the need for ‘The Store of The Future’ has arisen. Creating a seamless, single view of a particular customer has become something that store associates worldwide need to manage. The black book has to be digital, on brand, and accessible to all from head office to in-store teams. The key to the success of these tools is having the traditional drivers for relationship management at the core. It’s not about capturing data for the sake of customer capture metrics. It’s about using that information to cultivate a relationship, globally, on and offline. 07.06.18 Article amended to update House of Fraser store closure figures to 31 following announcement. Always a retailer at heart...why physical retail is here to stay. Having had some time to reflect on the the themes of various events I have attended in the first quarter of this year I thought I would like to focus on why I feel that physical retail is here to stay. It comes as no surprise that the main messages that are being blasted through the expo halls and in various keynotes focus on the future of retail. Topics such as the era of AI with an emphasis on IoT, automation and innovation are followed hotly by numerous forums for “reinventing retail” and the prevailing need for retailers to digitally transform their customer experiences. These are all thought provoking themes but the underlying message that continues to resonate with me is that this does not mean the end of the physical retail. It just means that our customers shop differently and therefore there is a need for retailers to adapt and evolve the purpose of the store and the overall store experience. And this is definitely not new news! I am passionate about the role of the modern retail store and it’s place as the heart and soul of the brand – whether you are buying a coffee or a car, retail is essentially a service industry. It was 30 years ago when I started my career on the shop floor and my very first manager taught me the principles of great customer service (thank you Carol Hubbard!). The majority of those principles have not changed despite the deluge of digital disruption. What has changed is the customer’s expectations and their path to purchase. Today’s customer has greater choice and convenience and has access to more information than ever before about the products he or she wishes to purchase – often more information than our store teams. In my day the sales associate was the font of all knowledge, or at least the good ones were, but today unless the sales associate is equipped with great in-store tech they are often left to use their own devices to find out information on behalf of the customer and that is not always a great experience. In today’s Amazon age the store has to be the place for the customer to go and experience the brand, to feel part of a community and to connect emotionally. A great store experience has a blend of what our customer success teams call the aspirational “A*s” – ambience, assortment and associates. A* Ambience is about the store as a destination, the store providing an experience beyond just browsing and touching, the store as a fulfilment centre, a place where you can test, explore, be inspired and also as a leisure destination delivering an ambience of fun, differentiation and a memorable experience. A* Assortment is of course essential as retail is all about having amazing products but in today’s world it is less about having the product in the right place as long as you can somehow exceed customer expectations and get the product to them quickly and conveniently. A* Associates – friendly, knowledgeable associates that have information at their fingertips, are passionate about the products they sell and can humanise and inspire their customers – consistently delivering the “I in AI”. Brick and mortar retailers have an opportunity to excel at what they do best – to create a great customer experience and build lifelong relationships. They have an innate advantage when it comes to making an emotional connection with their customers and let’s face it most non-commodity purchases we make as consumers involve an emotion and so today’s retail world definitely demands high EQ. 1. Create that connection from the very first time a customer purchases with your brand and ensure that every interaction with your customer is focused on building that lifelong relationship. 2. Connect with your customers and don’t communicate at your customers; get to know them, what he or she likes and wow them with simple “messages and personalised follow ups. 3. Measure, analyse and continually adapt your customer journeys. Make customer success stories the most important agenda topic every Monday morning. 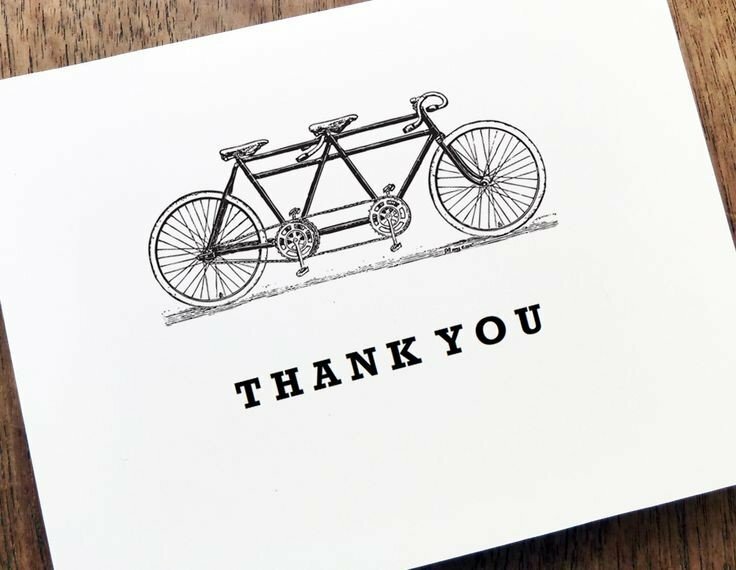 Celebrate and reward examples of great customer service. Regardless of how small or big your retail business is why not execute at least one of the above suggestions after the Easter break and measure the impact. Empower your store teams to make this happen and let us know how it works out for you! Have a great, fun Easter! Let's hope the sun shines and the tills keep ringing! A fantastic write up by Drapers of our session with Ines Lareo. Speaking during a session at Drapers Fashion Forum on 12 October, held at London’s County Hall, Matchesfashion global customer experience director Ines Lareo said avoiding “silos” is critical in improving customer experience. Challenges faced by retailers’ sales associates when trying to provide standout customer experiences included incomplete product knowledge, limited visibility of customer purchases and lack of intuitive tools, Matchesfashion’s marketing platform partner Proximity Insight has said. A key aspect is providing teams with the information and tools they need to understand and meet individual customer expectations. Lareo said: “We don’t work in silos. Everyone contributes to the experience that’s fundamental to the brand. The teams get a lot of training and the tools to realise this vision. It’s easy for us to say, ’yes, everyone wants experience’, but it’s about powering your teams to realise this. Information is key – how they can manage time and experience, and the training you provide to them in terms of expectations. Lareo also linked the importance of protecting customer data with the notion of shifting in-store engagement towards online, to build trust and interaction. Lareo added that customers at Matchesfashion stores are increasingly engaging with the retailer online, estimating that 400 emails per week sent to customers making a purchase have gained a 27% engaged response rate, which “is growing”. Lareo emphasised the importance of providing a consistent customer experience by blurring physical and digital journeys. She said that vitally, sales associates can access purchase histories from tills and communicate through the retailer’s app while on the shop floor through iPads, which has enhanced customer relationships. “Multichannel is a word that’s banned in the office. We see it more as customers being able to buy from us through key access points. Customers want to interact with the brand, so we don’t want to direct them into just one single channel,” she said. 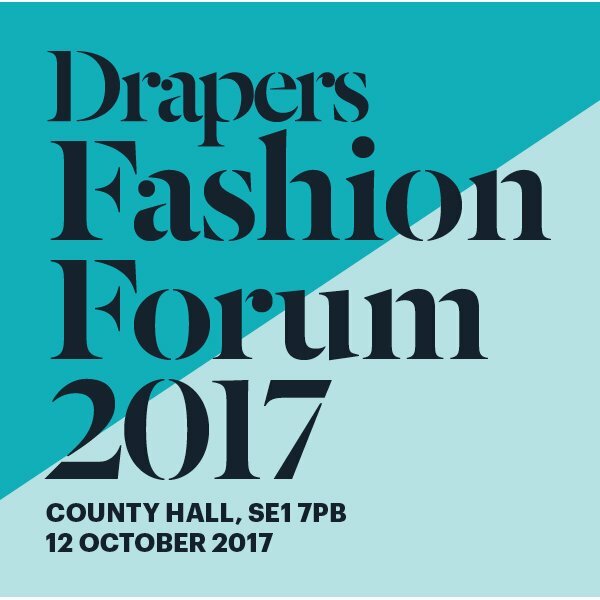 We'll be at Drapers Fashion Festival on Thursday, 17 October. We look forward to catching up and hosting you during our presentation with MATCHESFASHION.COM at 3pm. Retail stores are in the middle of a perfect storm as physical and digital collide. During this session, you’ll see things from a customer's perspective, immersing yourself in a journey of discovery. We’ll explore the challenges faced by sales associates when striving to provide exceptional customer experiences, while also looking at the changing role of stores and new standards for customer engagement. 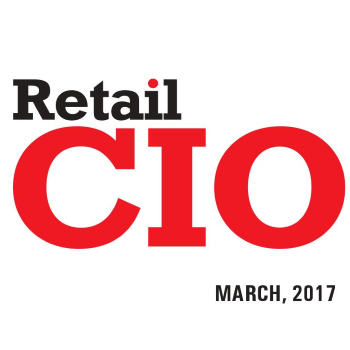 Proximity Insight are delighted to be recognized by Retail CIO Outlook as one of the top 10 retail CRM solution providers for 2017! To be considered for inclusion, companies had to “showcase in-depth expertise in delivering innovative CRM solutions that boost operational efficiency for retailers”. At Proximity Insight, this's what we are all about. We understand the importance of enabling in-store touch points and view this as a significant opportunity for the retail sector. In-store transactions account for 80-90 percent of all retail sales and that figure is projected to remain consistent for the next decade. We help our clients produce dynamic clienteling business tools that help sales associates navigate the entire customer lifecycle, and drive sales by providing the best customers to contact, along with the right channel, messaging and timing that will resonate.